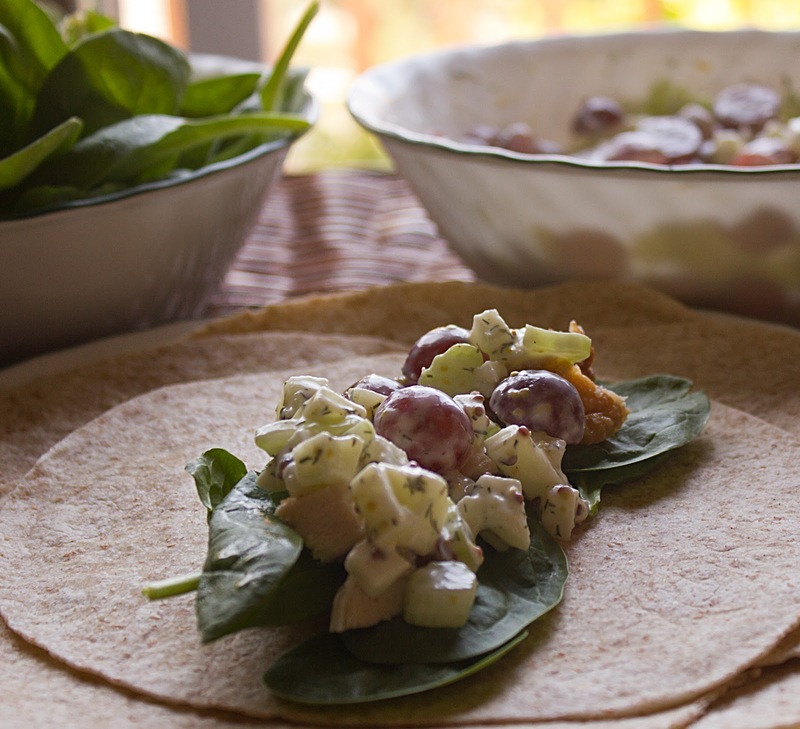 Waldorf salad is traditionally made of fresh apples, celery, grapes and walnuts, dressed in mayonnaise, and usually served on a bed of lettuce as a starter or a light meal. 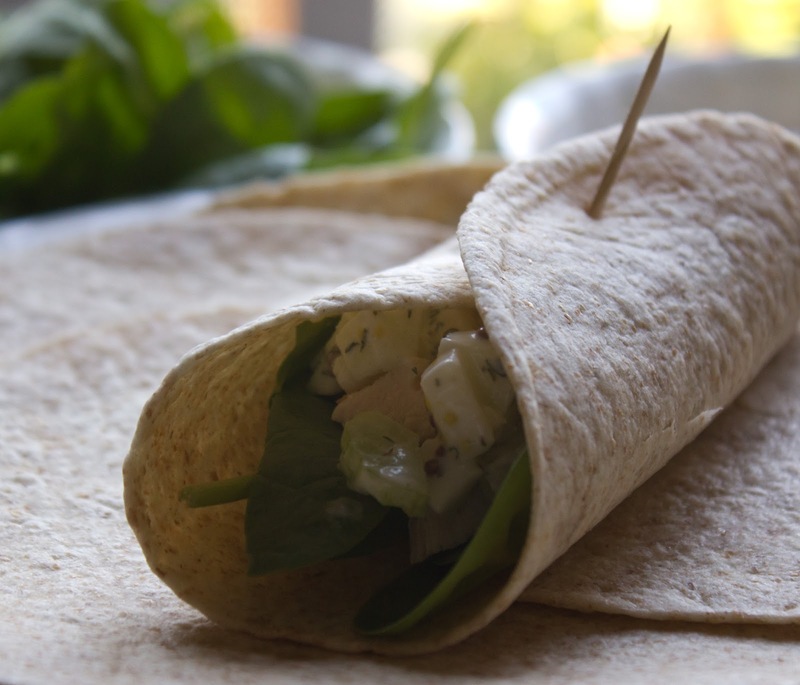 Fill this in a whole grain tortilla and you have yourselves a delicious wrap for lunch. 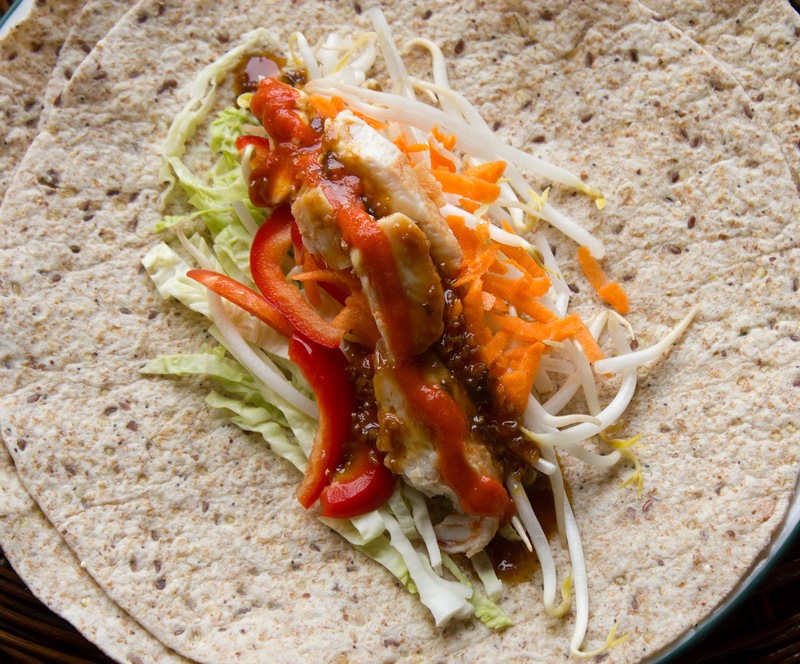 There are several textures in this filling and every mouthful is an explosion of flavour. To make it lighter I substituted mayonnaise with Greek yogurt. 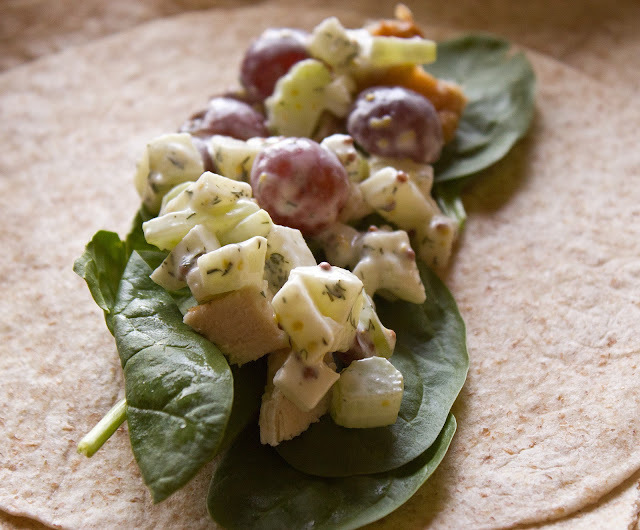 Don't worry about making the wrap soggy if packing it for school or work. The baby spinach prevents the dressing from affecting the texture of the tortilla. Use granny smith apple or any other tart variety of apple. Keep all the chopped veggies, fruits and chicken ready in a bowl. Prepare the dressing and add to the salad, mix well to combine . Warm a tortilla in the microwave for 10 seconds. Place several leaves of baby spinach in the centre of the tortilla and over it a large heap of filling. Fold and secure with a toothpick. 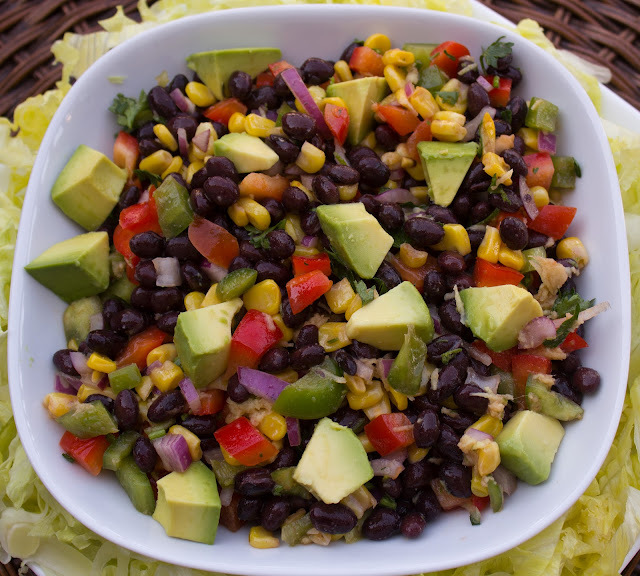 This salad has nutrition galore and makes a great lunch or side dish. Add grilled chicken or fish to it for main course. Add some lime juice to avocado to prevent discolouration. 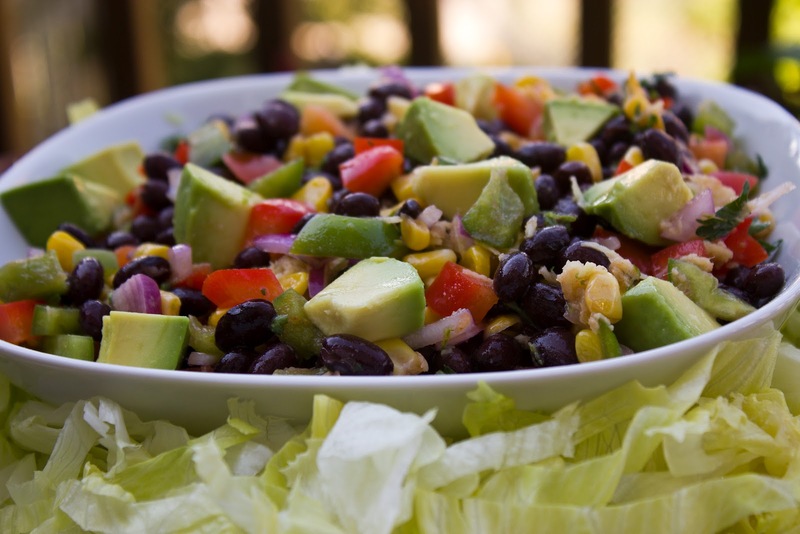 Prepare the salad complete with dressing and pack for lunch with an ice pack or prepare salad and dressing separately and pack for lunch in separate containers. Toss with the dressing just before eating . Whisk together all ingredients for the dressing in a bowl and keep aside. Prepare the beans and veggies for the salad. Add some lime juice to avocado to prevent discolouration. Spray a non stick pan with cooking oil and place over medium heat. Sauté corn stirring frequently till slightly charred about 7-8 minutes. 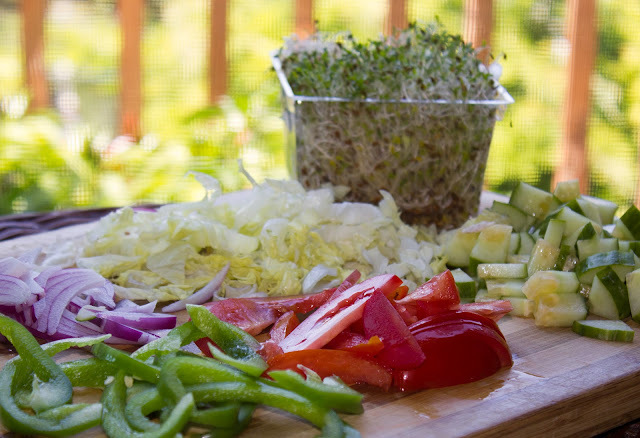 Place all the ingredients for salad in a bowl and pour dressing over it. Toss to mix well. 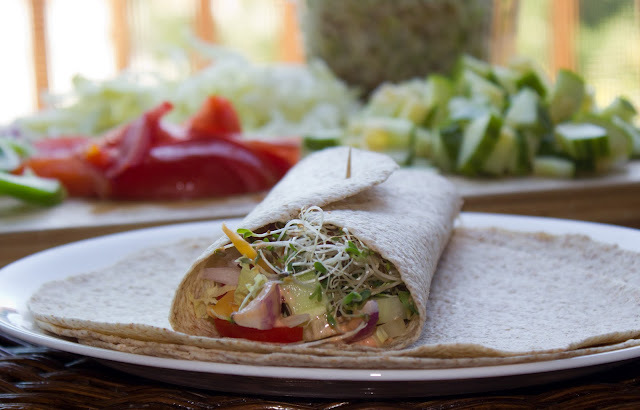 If you are tired of the same sandwich or salad for lunch, why not combine the two in a wrap. Wraps can include all fixings of a salad and sandwich. 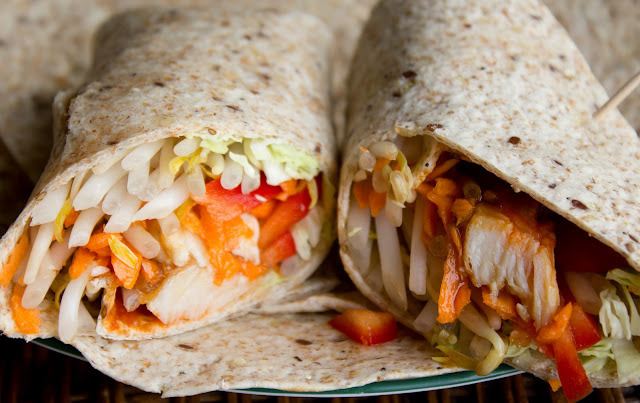 Just wrap up your favourite fillings and you are all set. 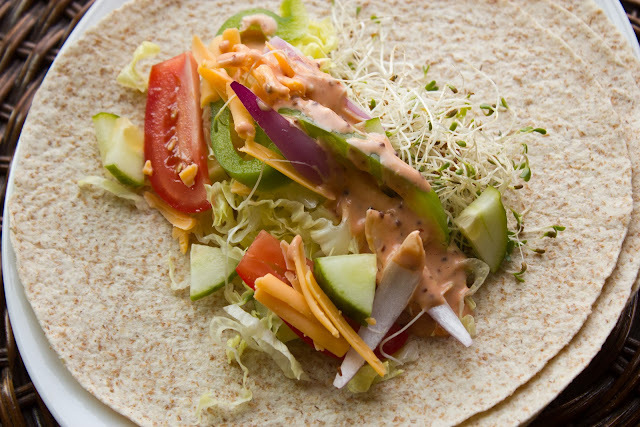 This one here is a simple veggie wrap with all the fresh veggies and a simple dressing. You can wrap all the veggies in the tortilla and pack the dressing in a separate box to keep the tortilla from getting soggy. Pour it over the veggies just before eating and enjoy the fresh crispness. 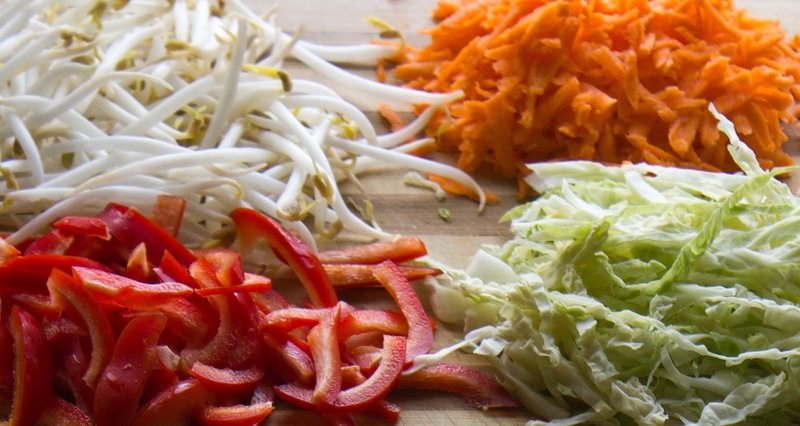 Keep all the chopped veggies ready to wrap. Make the dressing by mixing all the ingredients together. 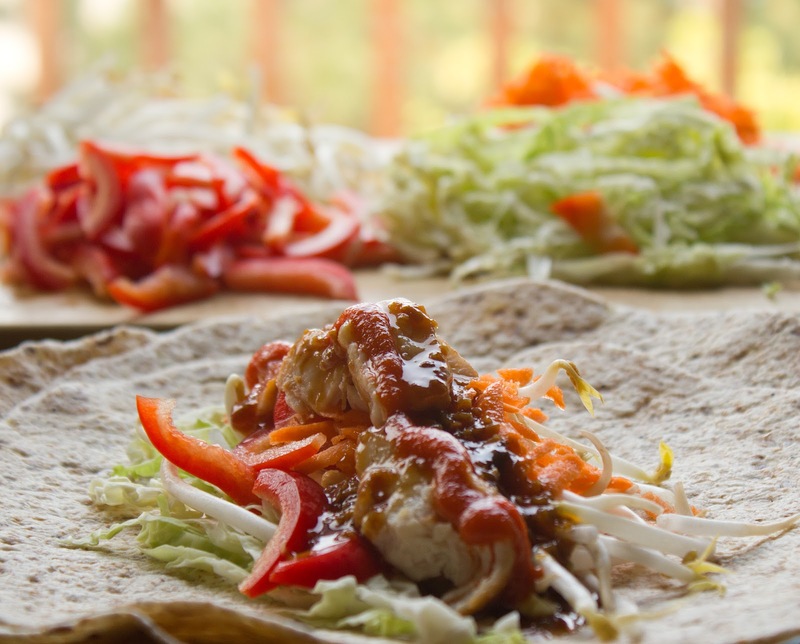 You can adjust the sweetness and heat as per your taste by altering the amount of ketchup and hot sauce. Warm a tortilla in the microwave for 10 seconds. 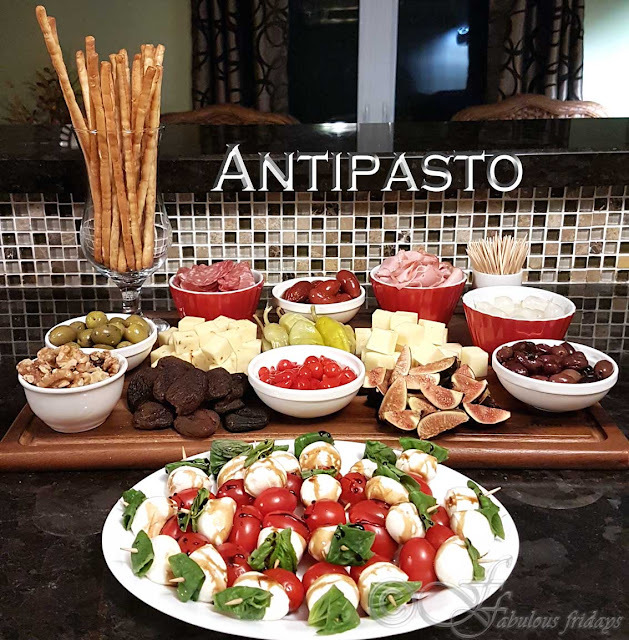 Fill the centre with all the veggies and cheese. Drizzle a teaspoon of dressing on top and fold. Secure with a toothpick and enjoy. If packing lunch for later wrap all the veggies in the tortilla and pack the dressing in a separate box to keep the tortilla from getting soggy. Pour it over the veggies just before eating.